It all came down to this. 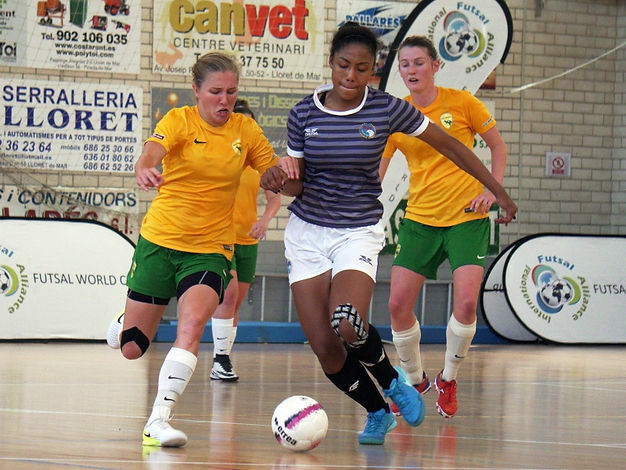 The Final of the 2017 IFA Women’s Futsal World Cup in Lloret De Mar was contested by the USA and Australia. In their last meeting in the Pacific Cup, USA overcame their Aussie counterparts, who were on a revenge mission. Both sides overall were the outstanding teams at this World Cup and deservedly reached the final. It really was set up to be an incredible match. The game began at a ferocious pace, both sides playing Futsal exactly how Futsal should be played. The USA had the better of the chances in the opening stages. Jessika Cowart coming close with a strike that flew past the post. Shortly after Veronica Cashman was baring down on goal, Melissa Khoury raced from her goal grabbed the loose before just before Cashman could get any sort of effort on goal. Australia grew into the game as the half went on. Pollicina battled well to keep the ball in midfield before feeding the ball wide to Chelsie Winchcombe. She opened her body and fooled Gabriella Batmani in the USA goal as she went for the near post, and she hit the outside of the upright and out for a goal kick. The closest the Aussies have come in the match. You couldn’t separate these sides as half time approached. Pollicina struck one from distance for the Aussies that flew just wide of Batmani’s post. Maricela Padilla also tried her luck from distance but Khoury had it covered. With less than three minutes remaining before half time, the USA almost broke the deadlock, twice. Raylene Larot fired a terrific strike towards the top corner, but Khoury tremendously tipped it over the ball. Padilla then tried her luck, but Khoury produced another stunning save to keep the scores level. The first chance of the second half fell to the USA. Padilla chipped the ball into Katelyn Nebesnick, who laid the ball off to Raleigh Loughman but her shot was deflected wide. A good move by the USA at the beginning of the second half.USA were looking the more likely team to score. Loughman again played in Erika Lum with a fantastically weighted pass, Lum took one touch and tried to stab the ball between the legs of Khoury, but again the big keeper was equal to it and blocked the shot with her body. Khoury was again called into action when Lum launched the ball forward to the unmarked Cashman. She spun and fired a shot towards goal but Khoury blocked it again. She was having an excellent game. The stalemate was soon no longer as the USA took the lead. Australia were pushing forward and left a huge gap at the back. Padilla won the ball back, nutmegged Shannon Day, drove forward towards goal and stabbed the ball with her toe through the legs of Khoury who couldn’t get down quick. The large USA support were sent into raptures, as were the players. Maricela Padilla gave the USA the lead. Australia almost immediately equalised less than a minute later. Shannon Day found space and struck towards goal but Batmani stood up to the task and palmed the ball away, top save! Moments later Batmani was called into action again when Chelsie Winchcombe drove through on goal, squared the ball to Day, she cut in on her left foot and shot low but Batmani got down to her right very quickly to beat the ball away. The Aussies hit the post for the second time in the game midway through the second half. Jasmin Kent played it into the box, it bobbled around with Hargreaves trying to get something on it. Pollicina ghosted in at the back post and got a strike on at goal, it beat Batmani but not the post as it crashed off the upright and away to safety. The USA goal lead a charmed life a few times in the game, but it did no longer as the Aussies levelled the scores. Winchcombe received the ball on the left, switched the ball to Pollicina on the right, and Batmani was left with no chance as Pollicina, famous for her long range strikes in this world cup, hit a venomous strike that nestled sweetly in the top corner. With only five minutes remaining, who would prevail victorious? The score wasn’t level for long as the USA got themselves back in front. Jessica Cowart from the kick in played the ball back to Loughman. She then squared it to Jessica Sanchez, who in turn played in Raylene Larot in space, and the little number one for the USA struck low and the ball crept in under the arms of Britt Hargreaves in the Aussies goal. Every member of the USA team and coaching staff joined in the jubilant celebrations. The literally seconds remaining, Australia came within an inch of equalising. Pollicina cut inside from the left and curled her effort towards the top corner, but Batmani through herself through the air and tipped the ball over the bar, and that was that, the USA had won the 2017 IFA Women’s Futsal World Cup in Lloret De Mar. Australia: 1- Britt Hargreaves (GK), 2- Lindsey Jobling, 3- Lori Depczynski, 4- Jasmin Kent (Captain), 5- Chelsie Winchcombe, 6- Sophie Jones, 7- Shannon Day, 8- Andrea Preiato, 9- Caitlin Jarvie, 10- Rhianna Pollicina, 11- Melissa Khoury (GK), 16- Jessica Lindquist. MVP: Rihanna Pollicina – Scored a wonderful goal, and influential in the game as a whole. Unlucky to be on the losing side, but being the youngest player in the Aussie squad she has a very bright future ahead. 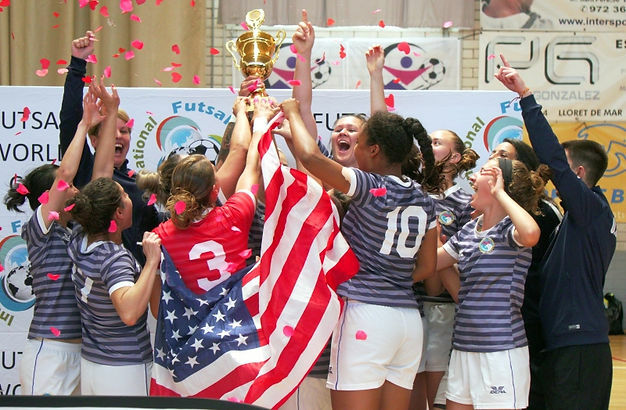 USA: 1- Raylene Larot, 2- Veronica Cashman, 3- Gabriella Batmani – GK, 5- Julie Meurer, 6- Emily Kuo, 7- Katelyn Nebesnick, 8- Maricela Padilla, 9- Erika Lum, 10- Jessica Cowart, 11- Alejandra Palominos Maldonado – GK, 12- Raleigh Loughman, 13- Ellie Pope, 17- Jessica Sanchez, 18- Jillian Jordan. MVP: Raleigh Loughman – As she has been for the whole tournament, she was tremendous both going forward and defending. A real team player and a joy to watch playing Futsal. Katarina Jukic scored a double as Queens Park recorded a dominant victory against East Fremantle, continuing their unbeaten start to the season. Queens Park coach Ben Anderton was pleased that his side had used their pre-season momentum in the fixture. “We were in the right places at the right times, unfortunately we weren’t as clinical as we had been in the past. Queens Park got off to a fast start early, utilising the wings to put East Fremantle under pressure. East Fremantle goalkeeper Leniana Masibaka missed a chance to clear a Tia Stevehill cross in the 8th minute, allowing Jukic to open the scoring. Jukic went close again in the 36th minute, but her shot was saved by Masibaka. Stevehill gathered the rebound, but only managed to hit the side netting with the follow up shot. East Fremantle’s troubles with the aerial ball continued. A Queen’s park free kick bounced awkwardly and landed at the feet of Jukic who rattled her shot against the bar. Five minutes into the second half, Jukic took her season tally to five goals, latching onto a corner at the back post to double Queens Park’s advantage. Queens Park continued to dominate and won a free kick in a promising position as Stevehill went close, her curling effort tipped over the bar by Masibaka. Despite the loss, East Fremantle assistant coach Luke Nezi was proud of his side’s performance. “Today we played really well, we’re playing the top side in the league, a very organised team. The victory takes Queens Park to the top of the table with six points from two games while East Fremantle remains winless. Queens Park: 1. Maya DIEDERICHSEN, 2. Angelique STANNETT, 3. Bec DICARLO, 5.Courtney OWEN, 6. Jamie-Lee GALE, 7. Brittany WOODFIN, 8.Sadie LAWRENCE, 9. Tia STONEHILL, 10.Nikki CAMPBELL, 11. Bec BENNETT, 17.Breanne ALEXANDER, 20. Katie SCHUBERT, 21. Jamie DUNCANSON, 23. Katarina JUKIC, 16. Grace SMITH, 14. Shannon MAY. East Fremantle: 1.Leniana MASIBAKA, 2. Sammi CARBON, 3. Isabelle BRIDGER, 4. Jacqueline MCLERNON, 5. Shannen Pink CRISTANCHO, 6.Laura WALTMAN, 7.Stephanie SIMMONDS, 8.Mikayla LYONS, 9.Evie MARCHETTI, 10. Emma GAUTREY, 11.Taylor MAGUIRE, 12. Raphaella WALTMAN, 13. Kate THAYER, 14. Lea VOLKMER 15. Zoe ANDRIJICH, 16. Zoe YAO. Queens Park have opened their Bankwest Women’s State Premier League campaign with a 5-1 win against Beckenham Angels at Mills Park on Thursday evening. Former Beckenham and Perth Glory striker Katarina Jukic was the hero for Queens Park bagging a hat-trick, with Sadie Lawrence and Tia Stonehill also getting on the score sheet. Jukic said it was good to start the season with a win and continue the momentum of winning the Night Series. “Sadie (Lawrence) and I got some great service tonight and we managed to put them away. Queens Park Coach Ben Anderton said it was a pleasing performance, and they took their chances well. “It was a slow start to the game but we lifted and when we introduced Shannon (May), we took control,” he said. The visitors dominated early and were ahead on 11 minutes. Natasha Rigby’s corner picked out Jukic who headed home from close-range. Beckenham hit back and when Kim Thiess’ corner wasn’t dealt with, Andrea Priato’s shot was saved by Danelle Cornish. Queens Park created the better chances and were rewarded on 37 minutes with a second goal. A great through ball sent Jukic in on goal who finished clinically. The Beckenham shot stopper was keeping her side in the game and stood tall to deny Jukic a hat-trick moments later. However there was nothing she could do when Queens Park added a third on the stroke of half time. A defensive mix up let in Stonehill, and the pacey striker made no mistake. The home side made a great start to the second half and they pulled one back in the opening minute. Valenti found space on the edge of the penalty area and her long-range shot gave Cornish no chance. Two minutes later Queens Park regained their three goal margin. Stonehill made space down the left and crossed in to the penalty area with Jukic sliding in at the back post to complete her hat-trick. Queens Park made it 5-1 on the hour as Lawrence heading home Jamie-Lee Gale’s corner. With Shannon May pulling the strings in the middle of the park Queens Park continued to press. Jukic’s curling shot flashed wide of the target, before Lawrence saw her shot cleared off the line by Rhian Mears. Next week Queens Park host East Fremantle at Coker Park, while Beckenham Angels travel to Jubilee Reserve to take on Bassendean Caledonians. The next round of the women’s metro cup will be on Sunday 28 May (Round 2 cup). Round 3 will be on Sunday 25 June, Quarter Finals will be on Sunday 23 July. Semi Finals will be on Sunday 20 August and the Final will be on Sunday 3 September. The Women’s Night Series final kicks off on Friday at 7:30pm. The Consolidated Energy Women’s Night Series final kicks off on Friday night with a battle of the undefeated, as Queens Park take on NTC at Coker Park. In a competitive group phase, Queens Park topped Group C and drew their final game against Balcatta to send them into a semi-final against last season’s double winners, Northern Redbacks. Queens Park prevailed 4-0, with goals from Tia Stonehill, Bec DiCarlo, Sadie Lawrence and Bec Bennett. Midfielder Nicole Campbell said the semi-final was a good win for the girls. “Obviously we are very happy with the win against the Redbacks, we love playing them,” she said. Campbell said coach Ben Anderton has included new players who have added quality to the side and they are looking forward to strong competition from the NTC. “NTC always play quality football – this comes from the good coaching they get,” she said. “I worked with Jessine (Bonzas) last season and she is an amazing coach. It will be an interesting game with both teams undefeated and of course NTC have some great young talent. “We love playing teams who have good structure and can move the ball around. We have had a quality pre-season and I feel we are coming together well as a team and in patches have played some incredible football. The NTC side finished runners-up in Group A, setting up a semi-final clash with Beckenham Angels. Lexie Moreno scored two cracking goals and Tessa De Leo scored another to give NTC a 3-0 win to reach Friday’s final. Coach Jessine Bonzas said it was a convincing performance. “It was a hard fought semi-final, it started with great intensity from both teams and Beckenham could have grabbed an early goal,” she said. It’s a new-look NTC side this season, and Bonzas believes the team are gelling well together. “A proportion of our team are new players this season and we welcome them as they play their first season for NTC or their first season in this age group,” she said. Bonzas said they are relishing the challenge against a strong Queens Park side. “Grand finals are always exciting and both teams should be proud of their achievement in qualifying for it,” she said. “We wish Queens Park the best of luck for the game and know it will be a good contest. The match kicks off on Friday at 7:30pm at Coker Park in Cannington. Football West has launched an unprecedented study into the National Premier Leagues WA (NPLWA) competition and is now seeking input from players, coaches and club officials through a series of online surveys. The NPL Review aims to develop a comprehensive framework to serve the game over the next five years, with participant input a key part of the process. The results of the initial round of surveys will form a baseline for more targeted surveying that will be conducted in the coming months. The NPL Review is being facilitated by independent consultants, who are also conducting a series of workshops to gauge stakeholder views. Click here for more information on the NPL Review. 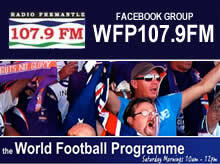 Stakeholders can also provide additional feedback via npl@footballwest.com.au.